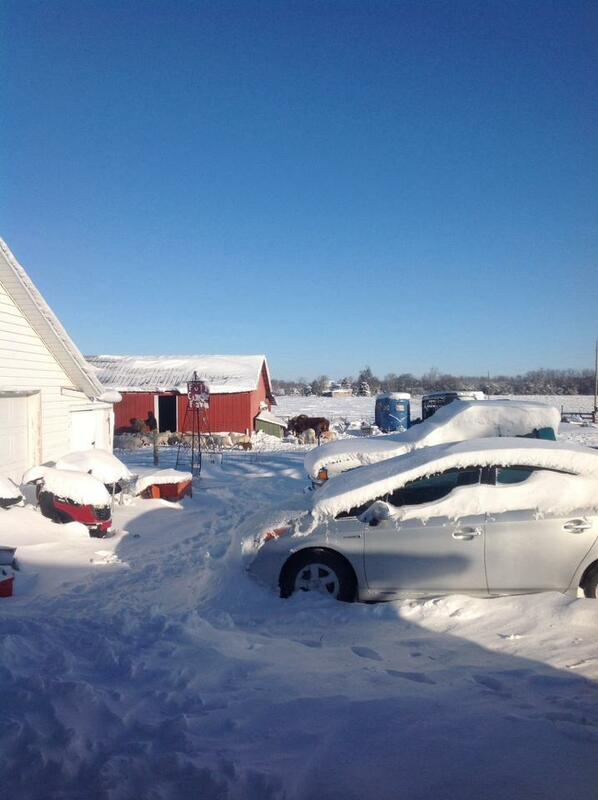 We survived the Polar Vortex of 2014, and so did most of our animals. Unfortunately, we did lose three or four chickens in one of our houses. Our version of the vortex included 12” of snow. It was below 0 degrees from early Monday morning through Tuesday afternoon with a recorded low of -13 degrees. It wasn’t the cold that worried us though, it was the wind. We had been well warned by the weather forecasters and closed up the animals to the best of our abilities. We were most thankful that we did not have any new lambs during the cold spell. We will be at the Farm to Fork Market at Normandy Farms this Saturday, January 11. If you are like us, you will need to re-stock your pantry and freezer after being stuck inside for a few days. Betsy’s Kitchen will be offering Paleo pumpkin muffins and Paleo almond power bars.